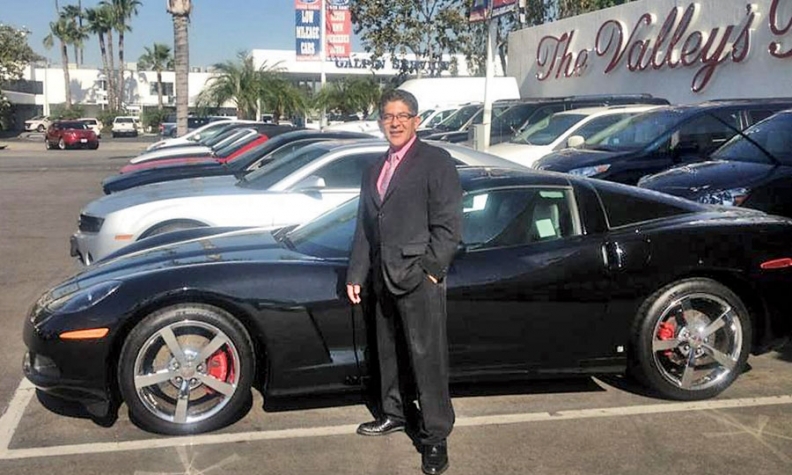 Galpin tapped subprime deal veteran Frank Santamaria to start its subprime department. Galpin Motors Inc. is aggressively pursuing the subprime market. On June 1 the dealership plans to launch a used-vehicle department focused solely on selling to customers with subprime credit scores, says Andy Graff, vice president of sales at Galpin in Los Angeles. "We want to build that department and start off on the right foot," Graff says. "You've got to have the right cars, the right financing sources and the right salespeople who understand these customers." What defines subprime varies by lender, but Graff says customers with a credit score of 550 to 420 are usually subprime candidates. They often recently have had a bankruptcy, a vehicle repossessed or a home foreclosed. Selling to more subprime customers provides a "good" profit margin, Graff says. But more important, it feeds the larger organization with other business such as service work and possible future referrals, he says. "It's much easier to retain business than attract it," Graff says. "This becomes the feeder." Last year, Galpin sold 4,467 used vehicles, Graff says. Subprime accounted for less than 5 percent of that used-vehicle finance business, Graff says. Graff wants subprime to be 15 to 20 percent of its used-vehicle finance business, he says. Galpin Motors Inc. ranks No. 44 on the Automotive News list of the top 125 U.S. dealership groups with total new-vehicle retail sales of 13,581 units in 2011. There's room for growth in subprime financing, says Jae Chang, account manager for the dealership consulting company Automotive Development Group in Eden Prairie, Minn.
"I know dealerships that were doing 10 percent of their finance for subprime in 2008 and are now doing it 20 to 30 percent," Chang says. "It's even higher for those aggressively going after it." If Galpin can grow its subprime business, Graff plans to build a subprime team with a manager and five salespeople, he says. He just tapped veteran store salesman Frank Santamaria to start the department. "He's done more subprime deals than the others," Graff says. "We'll send him all the subprime leads we get now." Graff says experience working with subprime customers -- and empathy -- are critical for the sales team. Many customers with subprime credit were prime credit-rated customers who fell on hard times. "They're going to have champagne taste with a beer budget," Graff says. "Rather than let them select the vehicle, you have to guide them to the vehicle and guide the proper structure of the deal you know your bank will accept." The subprime department will be part of Galpin's general used-car offices. Eventually, Graff will locate the subprime department in a building on a separate lot where the vehicles will be stored. Galpin presently stocks just five used vehicles that are 5 to 7 years old and priced below $10,000. They are reconditioned cars, the kind of vehicles most subprime customers can afford, Graff says. But Graff needs more of them. Graff will increase his inventory of these vehicles to 15 to 20 in stock in the next 60 to 90 days. Galpin will stock 40 to 50 such vehicles in the next six months and carry a 21-day supply, Graff says. To do so, he will use multiple resources. "We'll have to go to the traditional auction," Graff says. "We'll do the online auction. We'll go the nontraditional route and buy them off craigslist and AutoTrader. And we'll mine our own service business." Galpin uses Ford Credit and two other lenders for loans to customers with subprime credit ratings, Graff says. He plans to sign a fourth lender willing to loan to those subprime customers who are in bankruptcy. "I want to have three or four lenders in the stable after Ford Credit that I can go to and I don't want a lot of overlap," Graff says. "I want them to buy different things." Galpin also plans to use print advertising to target subprime customers and eventually TV spots, too, he says. But first, leads will come from within. "A lot of our salespeople are just letting these people go because it's too much work," Graff says. Now, Graff will ask salespeople to redirect those subprime customers to Santamaria and Graff will offer a slice of the commission. "Let's say a person calls and through conversation reveals they have poor credit. A traditional salesperson might give up on that deal," Graff says. "I'll say, 'Please bring this person's information to the specialized person in our used lot and if they make the deal, we'll spiff you $100 or $150 for the lead.'" While Graff doesn't expect to get rich off these deals, the cumulative effect of selling more vehicles to subprime customers means one day those customers will have repaired their credit. By then, he hopes they'll be loyal to Galpin. "It becomes another entry point, and it's paying for itself," Graff says. "That's fantastic."